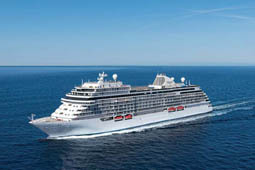 Guests sailing Regent Seven Seas Cruises enjoy the comfort and ease of a relaxing vacation. 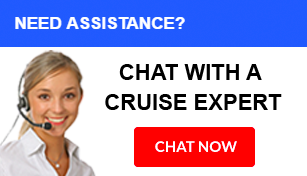 That’s because Regent Seven Seas Cruises are truly all-inclusive. Want unlimited shore excursions? Done. How about mouth-watering cuisine? Easy! 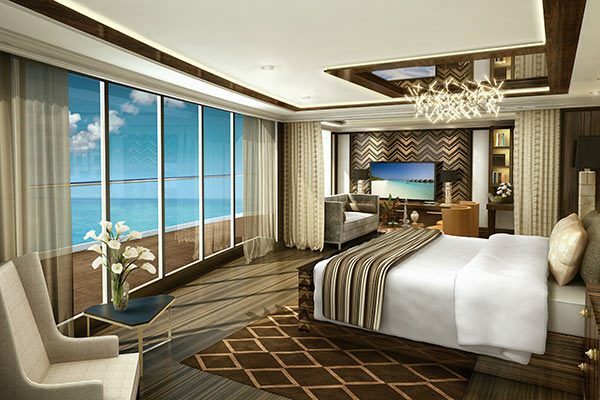 When you sail with Regent Seven Seas Cruises, you’ll stay in a beautiful suite. Each room comes with a private balcony and luxury amenities. 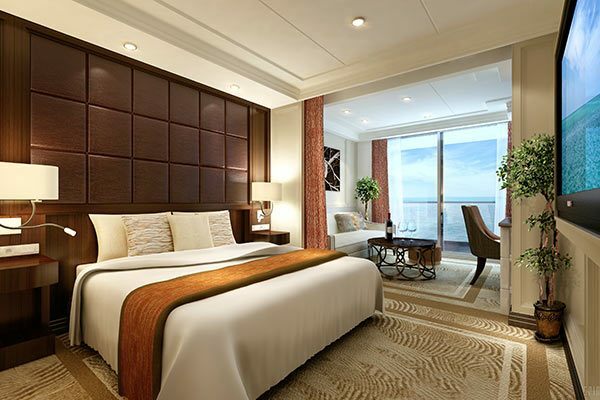 Some rooms even include free roundtrip business class airfare. 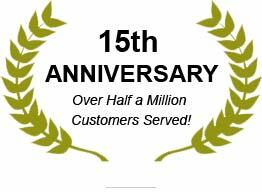 Want unlimited Canyon Ranch SpaClub services? Priority excursions? You got it. 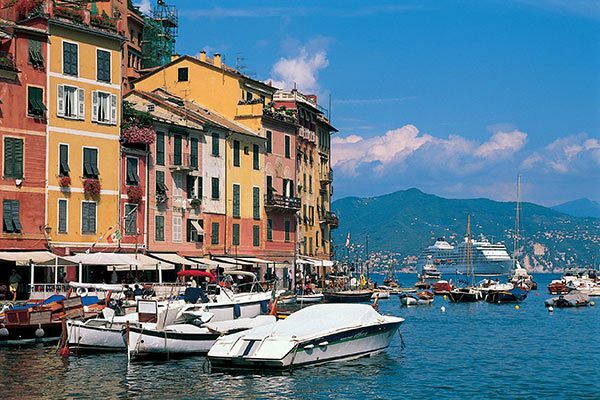 Enjoy all the magic the world has to offer, like historical ports and amazing destinations. 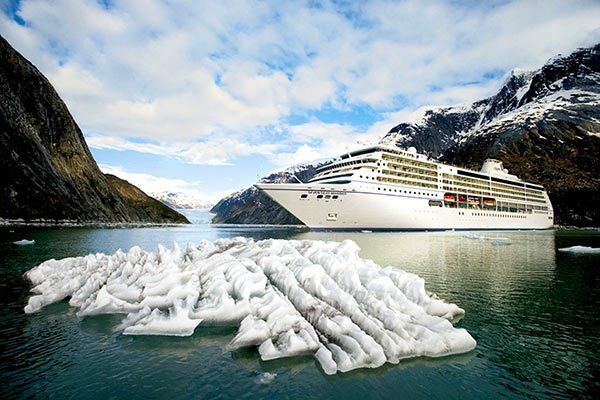 Regent Seven Seas sails worldwide, including Alaska, Europe, and the Pacific Rim. 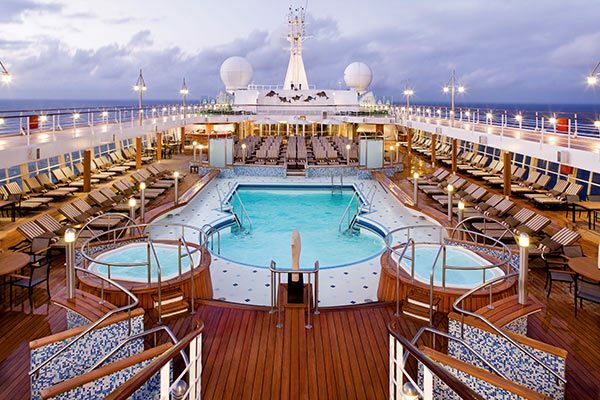 For a real bucket list item, take a world cruises or grand crossing. 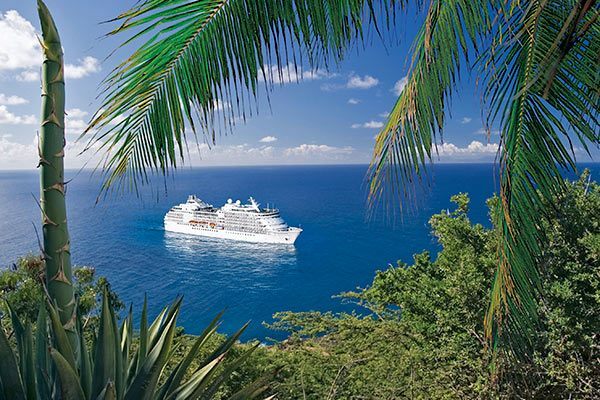 The options for comfort, cuisine, and extras on a Regent Seven Seas cruise are simply endless. 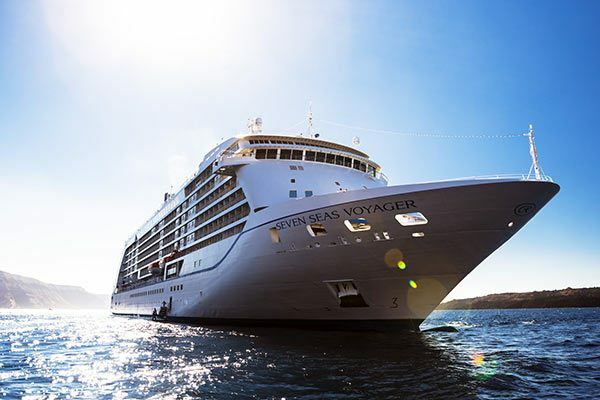 For those who have it all, sail with Regent Seven Seas. 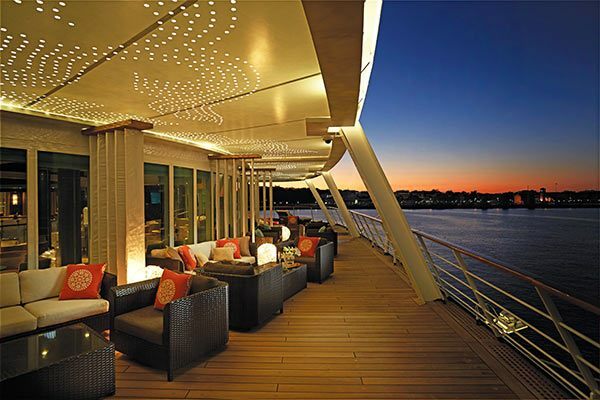 We artfully combine a warm, friendly ambiance with the ultimate expression of elegant yet casual onboard pleasures. Finally, you can have that perfect day … everyday. A delicious escape is made even more delightful when you relish a sublime bouquet at one of the vintage wine and artisan cheese tastings. 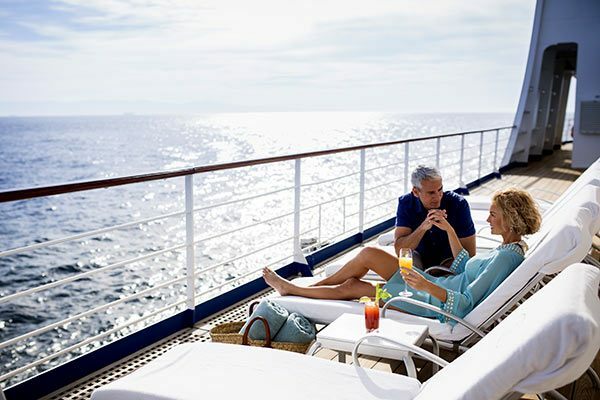 Pleasure and privilege replace stress and everyday pressure as your senses are pampered in Regent Seven Seas Cruises onboard Canyon Ranch SpaClub® or in the heated, shimmering waters of our sun-kissed resort pool. Attend a lecture in the good company of other likeminded guests, or join in a game of bridge or the ever popular trivia at tea time. 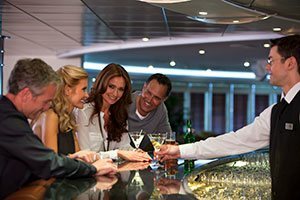 Regent Seven Seas Cruises ships are just the right size for intimate social get-togethers with fellow worldly travelers, or quiet enough to get lost in a good book. Evenings offer all the sophisticated fun of a nightclub or cabaret, whether you mingle over cocktails in a clubby piano bar or plush lounge, samba across the dance floor without a care in the world or applaud an enthusiastic musical revue. Indulge … it’s all included. 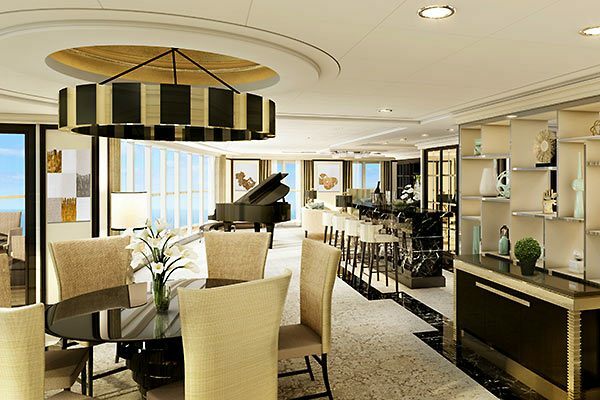 One might expect to pay a premium for the privilege of dining nightly on gourmet cuisine this extravagant, accompanied by exceptional wines and impeccable service, but rest assured, aboard Regent Seven Seas Cruises® it’s all included. 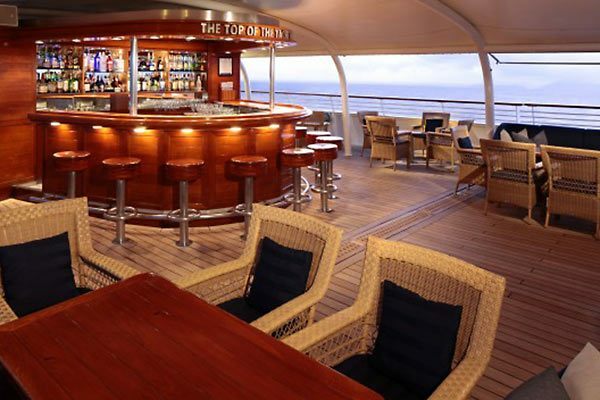 Dine whenever, wherever and with whomever you choose in any of Regent Seven Seas Cruises open-seating restaurants. Simply request a table when the mood strikes and the maître d will happily seat your party. Using fresh local produce, dry-aged prime meats, fish and seafood sourced from international markets, delicious artisan cheeses and scrumptious baked goods crafted from the finest imported French flour, combined with all the skills and imagination of their celebrated chefs to put it all together — cruising has never tasted so good. Menus change daily in Compass Rose as a multitude of different regional dishes are offered during the course of your voyage. Indulge in a Sunday champagne and caviar brunch at La Veranda or Compass Rose. 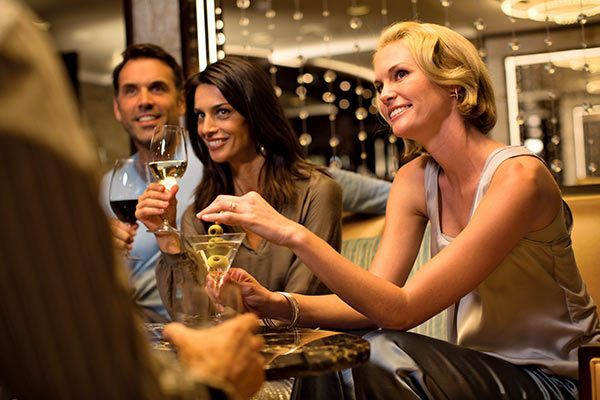 Dine in elegant surroundings including the iconic Prime 7, the premier steakhouse at sea and delight in mouthwatering entrées paired with distinctive complimentary wines and spirits. Compass Rose: The flagship restaurant, featuring European-inspired Continental specialties, as well as vegetarian, kosher and Canyon Ranch SpaClub® cuisines. 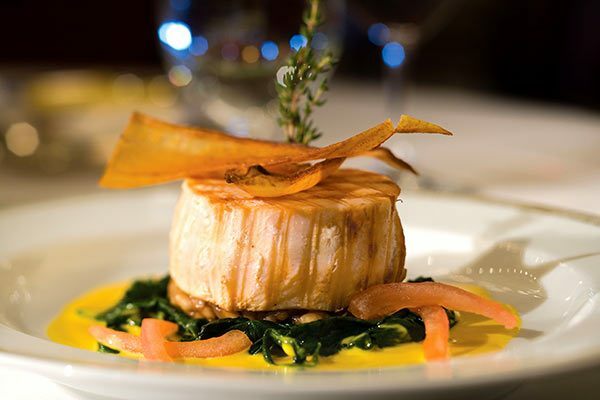 PRIME 7: A legend on the high seas offering classic American steakhouse and seafood fare. Reservations required. SIGNATURES: An exquisite restaurant that blends traditional and modern French cuisine aboard Seven Seas Voyager® and Seven Seas Mariner®. Reservations required. La Veranda : Elegant breakfast and lunch buffets with an enticing mix of regional specialties and succulent old-time favorites. Also features an authentic pizzeria and a shaded, open-air veranda for dining al fresco. Sette Mari at La Veranda : In the evening, La Veranda transforms into Sette Mari at La Veranda with a delicious menu of authentic Italian specialties paired with the finest Italian wines. Pool Grill: Enjoy casual breakfast and lunch in an al fresco setting with themed regional barbecues. Featuring our popular Burger Bar and hand-dipped ice cream/milkshake stand. Room Service: A delectable choice of appetizers, main courses and desserts, along with sandwiches, burgers, pizzas, soups and salads served 24 hours a day. You may order from the Compass Rose menu during regular dining hours and your meal will be graciously served course-by course in the comfort and privacy of your suite. Peace of mind and spirit are absolutely essential to looking and feeling your best. 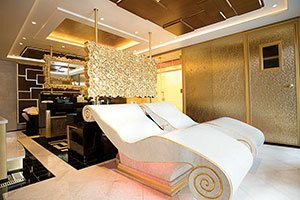 So the onboard spas, fitness and wellness facilities, and beauty salons have been entrusted exclusively to the experts at the legendary Canyon Ranch SpaClub® who ardently share Regent Seven Seas Cruises philosophy of health and beauty. In their magical hands, you will be transformed, head to toe, with rejuvenating massages, nourishing facials, calming aromatherapies, and therapeutic body treatments, some developed exclusively for the guests. When complemented by an energizing fitness class, a session with a personal trainer or an indulgent salon treatment, your inner and outer beauty will radiate like never before. Health-conscious gourmands will be delighted to know that Compass Rose serves wholesome and delicious Canyon Ranch SpaClub® cuisine during lunch and dinner. The menu offers a remarkable variety of balanced, highly nutritious dishes featuring whole grains, healthy proteins and fresh vegetables. Dishes are prepared with organic, sustainable ingredients and flavored with herbs and spices. It does not include travel protection, or personal expenses. Indulge in a voyage of a lifetime with Regent Seven Seas Cruises as we temporarily offer a 2-for-1 promotion on select staterooms. 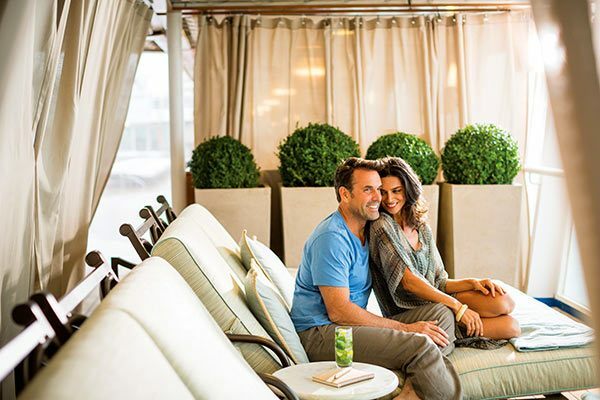 Book today to experience extraordinary service, lavish amenities, and extravagant ships as you sail the seas to alluring destinations for up to 50% off your cruise fare. Offer Terms: Offer is valid only for new individual bookings only. 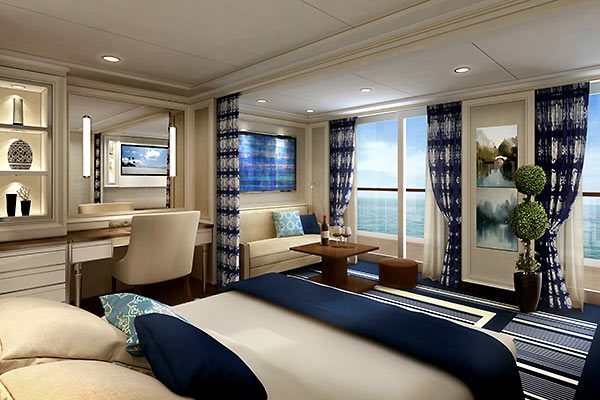 Offer is for select staterooms on select Regent sailings. Government taxes and fees are not included. 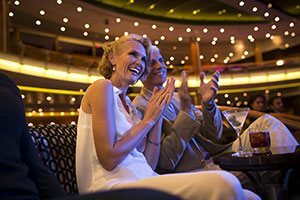 Reduced rate is automatically reflected in the price of the cruise. . 2-for-1 Fares are based on published Full Brochure Fares. 2-Offer is based on published Full Brochure Fares; such fares may not have resulted in actual sales in all suite categories and do not include optional charges as detailed in the Guest Ticket Contract. Enjoy complimentary unlimited beverages, including fine wine and premium spirits while onboard! 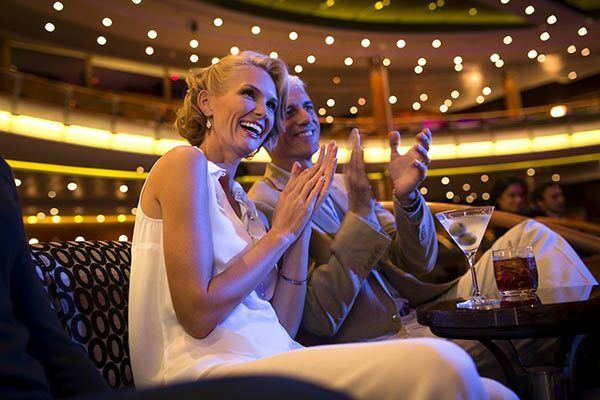 Enjoy complimentary WiFi @Sea throughout the ship while onboard! Stay in touch with family and friends, post to social media, or surf the web from the privacy of your suite or from the comfort of your lounge chair on the Pool Deck. The unlimited WiFi @Sea can be used across a variety of devices from your laptop to your smart phone. Offer Terms: Offer is valid only for new individual bookings only and applies to all suite categories. Free Unlimited WiFi is for one log in per suite which may be used on one device at a time. 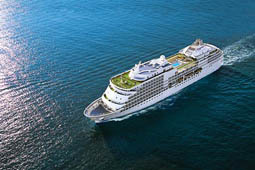 Seven Seas Society® Gold members and above receive two unique log-ins with Free Unlimited WiFi per suite. Immerse yourself fully in each of Regent's amazing destinations with as we offer Complimentary Unlimited Shore Excursions. Whether you prefer an action-packed day or just a tranquil afternoon, book now for access to a variety of award-winning excursions and experience an exciting new adventure in every port during your sailing.